In order to explain our project and idea in a more interesting and intuitive way, we designed our postcards containing our logo, QR code and brief slogan. We distributed them to those who were interested in our project, and they were also sent to Düsseldorf-Köln to take part in their postcard exchange campaign on behalf on Light Harvester. However, when we continued to carry out our collaboration with other teams, we found postcards far too simple to convey our principle but did better as souvenirs, which motivated us to design our brochures. 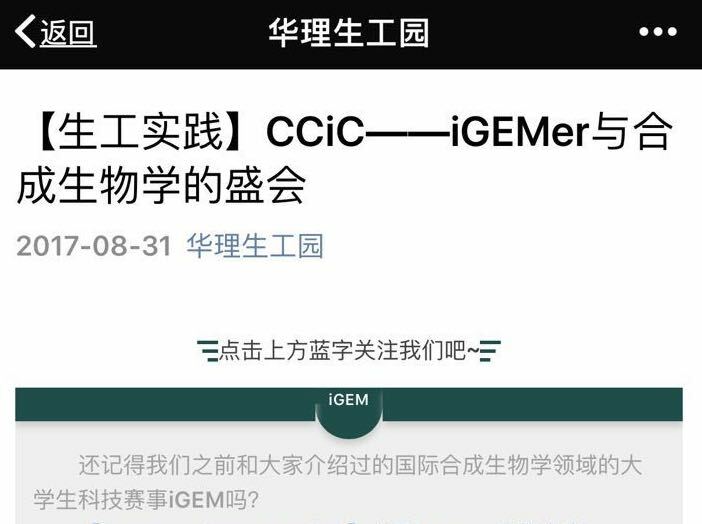 The brochures, we can see, contained our project description, the theoretical support, our group members, significances of iGEM competition and other important information. In the process, Syngen Tech Co., Ltd, which is an outstanding company in the field of synthetic biology, showed great interest in our project. With the philosophy of serving the country by industries, Syngen Tech Co., Ltd thought it meaningful to carry out comprehensive study on energy crisis and try to find solutions by means of synthetic biology. After seeing our postcards and brochures, and subsequent discussions held between Light Harvester and the company, Syngen Tech Co., Ltd generously decided to give us assistance on material sponsorship. We are very grateful for what Syngen Tech Co., Ltd provided and hope that we can do better in our project and explore more potential of synthetic biology. In China, WeChat is a prevailing APP which is similar to Facebook and Snapchat. 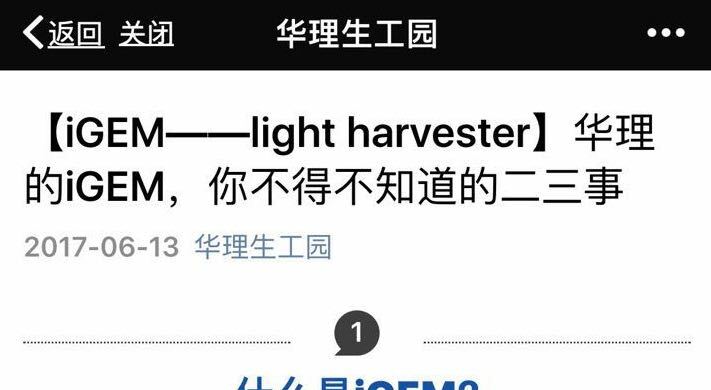 The articles published on WeChat are accessible to different people in different communities with different backgrounds and different occupations. 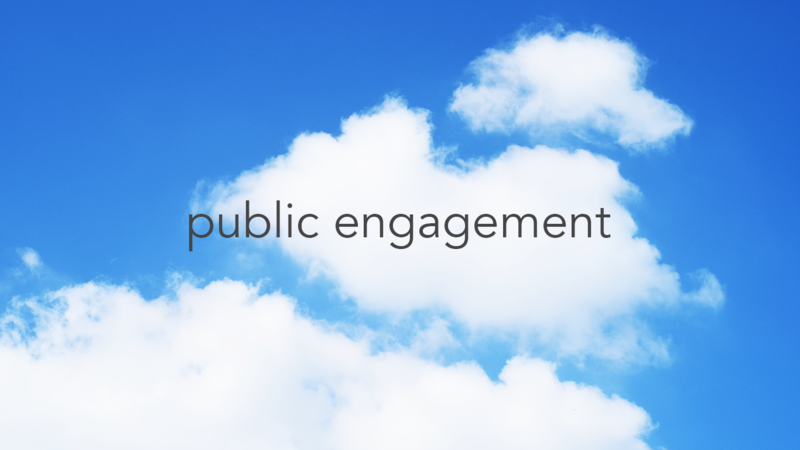 We took WeChat as the main tool for online publicity. 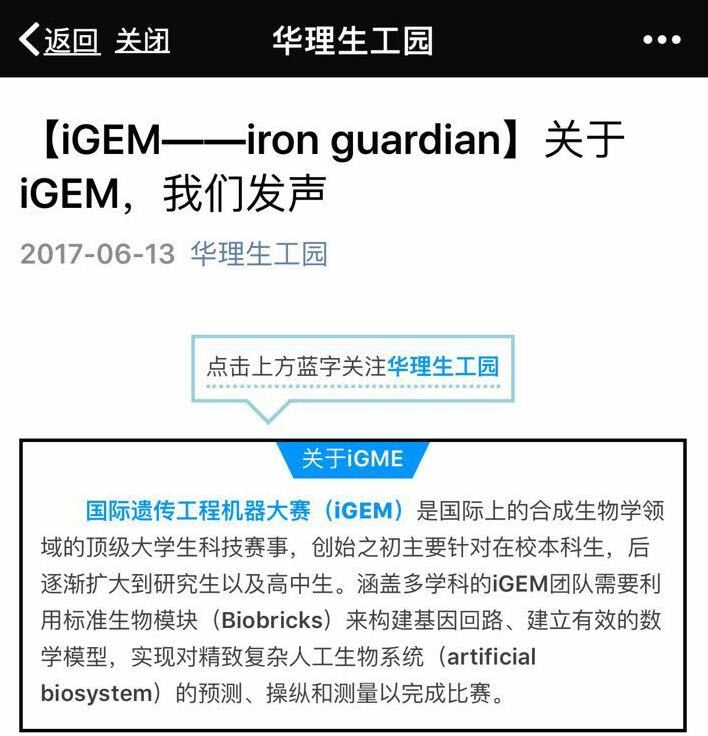 We gave a simple description of our project and then presented the principles of iGEM and synthetic biology for readers, hoping that through the articles we could receive recognition and support from our mates. 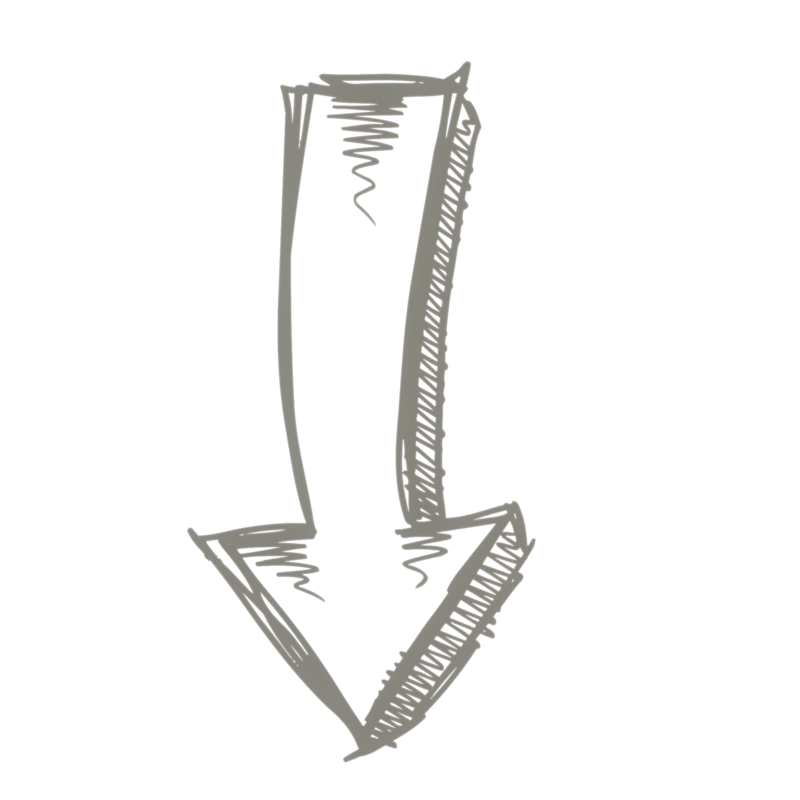 And then from the community's comments, we knew about their concerns, which were valuable in our whole design.